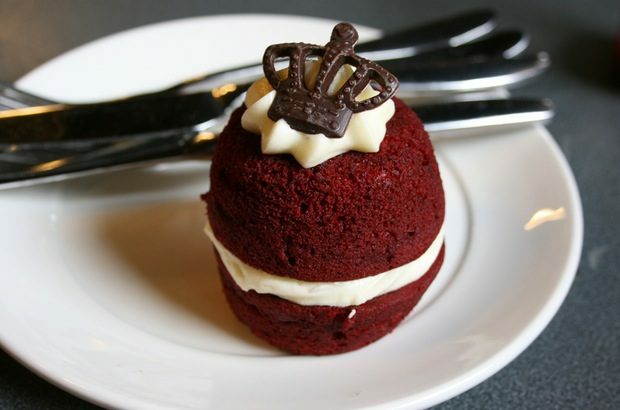 As the nation celebrated the Queen’s official birthday over the weekend, I found another good excuse for cake – Friday (10 June) marked a year since we published the first Ofsted blog! I'd like to say a big thank you to the thousands of you who’ve read our fairly regular blogposts and shared them – please do encourage more people to subscribe. Through the blog we have been able to explain changes to inspection, highlight processes, and respond to comments. Importantly, the blog has also allowed me to dispel some of the misconceptions about what Ofsted expects school leaders and teachers to do ‘for inspection’ leading to our very first Vine about marking. It's true; we really don’t expect teachers to use different coloured pens! Recently we have published a set of slides about #Ofstedmyths for those who’d like to present the facts of what Ofsted expects to others on their school staff – just login to SlideShare to download the slides. It seems many of you have also found our posts on short inspections (still our top blog) and school governance very useful too. I’d like to assure you that my colleagues and I will continue to use this space to update you on inspection practice. To that end I thought it might be useful to explore a topic that I know has caused a large degree of apprehension for some schools – ‘assessment without levels’. With schools no longer able to use ‘national curriculum levels’ to assess children’s progress, some are spending lots of time and effort working on their curriculum and assessment systems to monitor the progress of their children and to use the information gained to support achievement. Last month I attended a #LearningFirst conference in Sheffield organised by Dame Alison Peacock and Julie Lilly. It brought together teachers and school leaders to share expertise and ideas on how to solve the issues around assessment without levels. I thought it was a great example of school-led improvement in action. I came away thinking about how we at Ofsted can also help to keep the momentum going, including by supporting this movement, attending and listening to colleagues. As I see it, it isn't about tracking numbers. At the root of ‘beyond levels’ is that assessment should be based on the curriculum and the school’s vision for its pupils’ learning, not the other way round. Schools can develop effective assessment systems by first setting out a broad, balanced curriculum and being clear on the big ideas that they want their children to understand. Their next step is to identify milestones in children's learning along the way to understanding those big ideas, and when they expect these to be achieved by the pupils. Successful schools then set out the routes for learning to those milestones and their teachers provide the level of challenge required through their expectations of the pupils’ work. Then, and only then are the assessment system and methods considered, so that real progress along the pathways can be checked, i.e. identifying what the pupils know, understand and can do that they didn’t or couldn’t before. The key then is how the school uses the information, in whatever form suits the school and its pupils best, to support further achievement. As I said at the conference, it’s for schools to take control, make more creative use of curriculums freedoms, and crucially, do what is best for their children, not for Ofsted. You can hear more on my views about assessment without levels and #Ofstedmyths through a recent podcast interview I did for NAHT Edge. Do let me know what your school is doing @HarfordSean on Twitter. You can keep up-to-date with Ofsted news by signing up for email alerts. You can also follow Ofsted on Twitter. I look forward to another year of debate and engagement, and I will continue to listen. If a school feels it can use NC levels to facilitate outstanding progress in at least some subjects then why not use them? Art, DT and PE have not changed significantly with the new currics. So if used correctly in a manner that provides an appropriate pathway for pupils, in a manner that is accessible and formative, then why not? We are now coming to the end of our second year assessing without National Curriculum levels at KS3. We used a phased roll out (just year 7 in the first year; 7 and 8 this year so next year is our first using 'no levels' at all in KS3). When developing our new system we were acutely aware that levels served many masters - parents, students, class teachers and subject/senior leaders - perhaps in different ways and perhaps trying to be all things to all people. We were clear that their replacement (or replacements) still had to serve the needs of these groups. We undertook considerable consultation - 5 working groups (teachers x 2; parents x 1 and students x 2) along with the opportunity to contribute thoughts/ideas by those unable to be part of the working groups. Each consultation had the same format - presentation about curriculum and assessment; discussion about why levels were going and then tabling around 10 plausible alternatives that we had sourced/developed/dreamt up. These 10 were not a menu to pick from but stimulii for debate - good points and bad. The ultimate aim was a list of 'key requirements' for that auidence. We collated the 'key requirements' for each group and developed a model that we felt met the needs of all and went back to those groups for comment and feedback. This led to some relatively minor, but none-the-less important, refinements. At the end of the 1st year we reviewed the methodology with all groups and the general feeling was that we were on the right track but a few tweaks were needed. We made those for year 2 and will now repeat that review process again. Would it be possible to add anything about passing assessment information between schools when they use different approaches? Perhaps colleagues have seen practice that promotes progress. Thank you, Sean, for always engaging with us. Love the blog! Also love the fact that you respond to us on Twitter. Your myth busting and the blog on governance has been very useful to everyone, including me. Now when someone says inspectors will only meet one or two governors or that the draft report can't be shared with governors all we have to do is show them the blog! What measures is the government putting in place to allow schools, parents and carers , LAS, Social Care to compare data from school to school or compare progress and ataintment against national benchmarks i.e Ipsative assessment ?? Hi Mark - best to contact the DfE on this. We approached this from a Curriculum Planning viewpoint, subjects developed their KS3 content / skills delivery in a simple framework based upon a maximum of 5 big ideas across amaximum of 10 bands. Individual student flight paths created from KS2 point scores (not PE or drama,) and progress reported as in-line, above or below expected in relation to each individual student, we do not using levels (bands) in any feedback. More important is the feedback to students to ensure they understand the next steps in their learning. Flight paths can be adjusted, eg if a student is consistently above expected, we can offer challenge.